A CLASSICALLY BEAUTIFUL DIAMOND RING FOR YOUR BRIDE This Verragio Renaissance 908CU7 diamond mounting is set in 14 karat white gold and also available in 14 karat yellow gold. 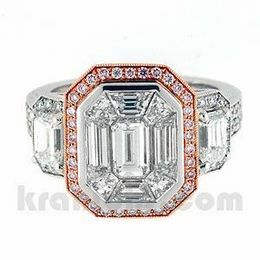 A Classic Diamond Ring Dazzler featuring a .50 carat total diamond weight of glittering round diamonds set in a halo and accenting the sleek band. 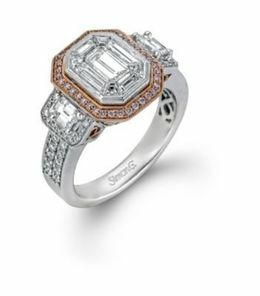 Check out the lift of the diamonds on the shank, this ring is designed for comfort and stunning display by expert fine jewelry artisans. When you invest in a precious jewel out of love, it is satisfying to know the expert quality and classic design of a Verragio diamond ring will delight for ever after. 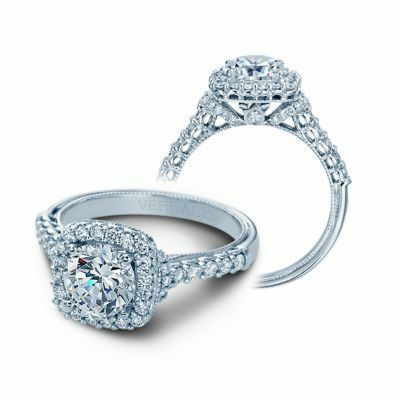 VERRAGIO Renaissance DIAMOND ENGAGEMENT RINGS WILL EXPRESS YOUR UNENDING DEVOTION.